Richard welcomes back the Crop Circle Girl to the program. They will discuss her ongoing revelations of messages she finds hidden in Crop Circle formations and other glyphs. They may hold the key to new scientific breakthroughs and advances in technology. As well as understanding our place in the cosmos. 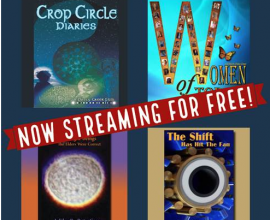 GUEST: PATTY GREER entered her first UK Crop Circles in 2006 and knew instantly that she had stepped into another dimensional reality. The energetic buzz was extremely strong, giving her tingles and goosebumps from the enhanced electromagnetic field. She loved the sensations and returned to the UK in 2007 and 2008 for 9 weeks each summer. 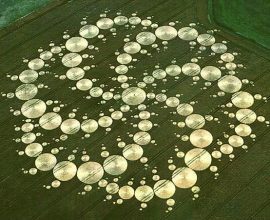 She visited the Crop Circles day and night and was completely blown away by the end of each season. 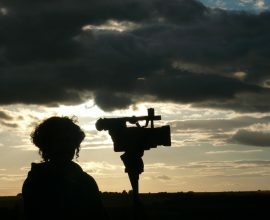 She returned again in 2010, 2011, and 2014 with cameras and has produced 8 full feature films to date. Within 2 years of her ET Contact incident Patty produced 4 full feature films on her own in record time. The films received 6 prestigious awards quickly, including 3 EBE awards at the International UFO Congress Convention.